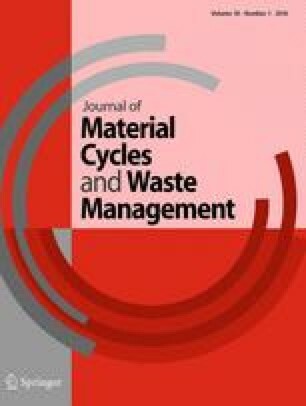 Per capita municipal solid waste (MSW) generation, a core indicator of environmental pressure, is a useful measure for evaluating the intensity of waste generation over time and comparing the intensities among cities or countries. We provide an overview of global data on MSW generation per capita at the national and local levels. Although the legal definition of MSW varies from country to country, we conceptualize MSW simply as the waste managed by or for municipalities as a public service. We note the current challenges in estimating MSW generation per capita in developing countries, including a lack of equipment (e.g., weighbridges), lower rates of MSW collection efficiency, and rural–urban migration, all of which may have negative effects on data reliability. Incomplete data compilation systems at the national level also result in lower reliability and reduce the comparability of national data. We suggest technical solutions for estimating MSW generation per capita at the local and national levels to improve reliability and comparability of data. Currently, 1.3 billion metric tons of municipal solid waste (MSW) are generated annually in the world, and this amount is expected to rise to about 2.2 billion tons by 2025 , although MSW generation in Organisation for Economic Co-operation and Development (OECD) member countries has been decreasing . MSW generation is influenced by economic conditions, living standards, urbanization [3, 4], and population . Dramatic increases in population in urban areas are typical phenomena in Africa and Asia , and the amount of MSW generated dramatically increases as a consequence. Historical data compilation of MSW generation per capita, a core indicator of environmental pressure [7, 8] to evaluate the intensity of MSW generation, can contribute to better MSW management planning. Data on MSW generation per capita are also useful for comparisons of MSW intensities among countries and cities. In spite of the usefulness of this measure, international comparability is not fully assured because of inconsistent national definitions of MSW and unreliable data on MSW generation per capita. Comprehensive articles reviewing MSW definitions have yet to be published, although some researchers have specifically addressed the definition of MSW in their studies [9, 10, 11, 12]. In this article, we provide an overview of global data on MSW generation per capita at the national and local levels. Because of our concern that the disparity of MSW definitions in the world would lead to reduced comparability, we review various definitions of MSW and accordingly explain about the MSW stream. With a focus on developing countries, we clarify existing local problems with data reliability in terms of MSW generation and the population with MSW collection service because uncertainties seriously affect the reliability and comparability of MSW generation per capita data. We raise the issue of compiling local data for estimation of nationwide MSW generation per capita. We suggest technical solutions for estimating MSW generation per capita at the local and national levels to improve reliability and comparability of data. Calculating MSW generation per capita enables data on MSW generation to be normalized and eliminates the effects of changes in population . Per capita data are widely used to compare the intensity of MSW generation among different places [14, 15, 16, 17, 18, 19, 20]. Figures 1, 2, 3, 4, 5, 6, and 7 show the latest available data on MSW generation per capita of 157 countries by region [1, 21, 22, 23, 24, 25, 26, 27, 28, 29, 30, 31, 32, 33, 34, 35, 36, 37, 38, 39]. Data for the 34 OECD member countries are from the OECD’s iLibrary database, which compiles annual data on MSW generation per capita for all member countries. Data for European Union (EU) member countries other than OECD member countries (Romania, Latvia, Serbia, Croatia, Bulgaria, Lithuania, and Cyprus) are from Eurostat statistics. Data for some other countries were published by international organizations, and some were investigated by individual researchers and consultants. MSW generation per capita ranged from 0.09 kg day−1 in Ghana to 5.50 kg day−1 in Antigua and Barbuda; the median was 0.94 kg day−1. Data from developing countries were generally difficult to obtain and open data sources are limited. As a result, the reliability and timeliness of data cannot be guaranteed in developing countries with the exception of countries where ad hoc international support projects have been conducted, such as in Nepal . In international comparisons of national MSW generation per capita, corresponding socio-economic indicators are often cited to illustrate that larger values of MSW per capita are generated in places with higher socio-economic indicators. Gross domestic product (GDP) per capita is a typical economic index correlated with MSW generation per capita [40, 41, 42], although the correlation is not strong. Gross national income (GNI), the sum of a nation’s GDP plus net income received from overseas, is also used in place of GDP . The Human Development Index (HDI), which measures the average achievements in a country with regard to its residents having a long and healthy life, access to education, and a decent standard of living, is applied as well . These three indicators are correlated with one another. Worldwide, in 2012, a significant positive correlation (r = 0.985, p < 0.001) was observed between GDP per capita  and GNI per capita , and HDI  was correlated with logarithmically transformed GDP per capita (r = 0.928, p < 0.001) and GNI per capita (r = 0.934, p < 0.001). Figure 8 illustrates the relationship between MSW generation per capita (Figs. 1, 2, 3, 4, 5, 6, 7) and GDP per capita in 2012 or the latest available year  for 156 countries. Myanmar is not included because GDP per capita data were not available. MSW generation per capita in countries with a per capita GDP of less than US$20,000 fluctuated more widely than those with a higher per capita GDP. The standard deviations of MSW generation per capita in the lower and higher income groups were 1.09 and 0.44, respectively. As an economy matures and environmentally friendly policies are enforced, MSW generation per capita does not always increase in line with economic growth. For example, after 20 years of rapid economic growth through 1997, the government of Taiwan enforced aggressive MSW management practices , which contributed to a large reduction in the per capita MSW generation from 1.14 kg day−1 in 1997 to 0.81 kg day−1 in 2002 , even though the economy continued to grow. Figure 9 shows MSW generation per capita for 20 major municipalities in Asia and Africa [4, 5, 17, 22, 50, 51, 52, 53, 54, 55, 56, 57, 58, 59, 60, 61, 62, 63, 64]. Each municipal value exceeds the corresponding national value for MSW generation per capita (Figs. 1, 2, 3, 4, 5, 6, 7). Per capita MSW generation in some large Asian cities, especially Kuala Lumpur (Malaysia) and Bangkok (Thailand), has already reached the level of OECD member countries. MSW generation per capita varies among municipalities within countries. Urbanization has a positive effect on increasing MSW generation per capita, especially in developing countries, where disparities in economic activities and living standards between rural and urban areas are large. MSW per capita in urban municipalities has been reported to be more than that in rural municipalities in developing countries. For example, in Vietnam, MSW generation per capita was reported to be 0.70 kg day−1 in urban areas and 0.30 kg day−1 in rural areas . In developed countries, MSW generation per capita generally does not vary as much between rural and urban municipalities. According to Japanese statistics , however, the standard deviation of MSW generation per capita of municipalities with a lower population density (rural municipalities) was larger than that of more densely populated areas (urban municipalities); that is, per capita MSW generation in rural areas was more widely ranging (Fig. 10). Tourism may also have an impact on MSW generation [66, 67]. For example, Pattaya (Thailand), a beach resort city approximately 160 km from Bangkok, has a much higher MSW generation per capita (1.00 kg day−1)  than the national average (0.64 kg day−1). Generally municipalities or local governments have the responsibility of managing MSW, with a few exceptions such as in Malaysia, which shifted the responsibility for MSW to the federal government . The existence of different definitions of MSW  makes it confusing to interpret and compare estimates of MSW generation in various countries. Waste is generated in all sorts of ways and its composition and volume largely depend on consumption patterns and on industrial and economic structures . Although the legal definition of waste differs among countries, wastes are substances or objects that are disposed of, intended to be disposed of, or required to be disposed of by the provisions of national law according to Article 2 of the Basel Convention on the control of transboundary movements of hazardous wastes and their disposal. Waste is similarly defined in EU Directive 2008/98/EC as any substance or object that the holder discards, intends to discard, or is required to discard . In another sense, waste refers to material that is discarded without being resold to other persons or companies, and it generates collection, transportation, and disposal costs. In Japan, after careful and comprehensive evaluations, waste is defined on the basis of the following five categories—(a) item meets required quality for use, (b) supply and demand, (c) product market, (d) transaction value, and (e) intention of owner to sell. Under this type of definition, recyclables (salables) are not considered to be waste. In general, the sources (generators) of and the properties of waste defined as MSW determine the application range of MSW , but Buenrostro et al. conceptualized the territorial limits of a municipality as the boundary of MSW. According to the OECD , “Municipal waste is waste collected by or on behalf of municipalities. It includes household waste originating from households (i.e. waste generated by the domestic activity of households) and similar waste from small commercial activities, office buildings, institutions such as schools and government buildings, and small businesses that treat or dispose of waste at the same facilities used for municipally collected waste.” However, the definition reported by the World Bank includes industrial waste and construction and demolition waste in MSW streams . Rodic et al. reported that several municipalities such as Adelaide in Australia and Belo Horizonte in Brazil also include construction and demolition waste as MSW. The Canadian government also defines construction and demolition waste as a component of MSW . The US Environmental Protection Agency definition does not include construction and demolition debris, biosolids (sewage sludges), industrial process wastes, junked cars and trucks, or combustion ash, but US states have different definitions of MSW . For the purposes of national annual reporting of MSW from EU countries, the Eurostat/OECD defines MSW to include household and similar wastes, placing emphasis on inclusion by listing all the possible sources and material types . Another EU commission decision defines municipal waste to include household and similar wastes, but to exclude production waste and waste from agriculture and forestry . Chapter 20 in the European List of Wastes defines municipal waste as household waste and similar commercial, industrial, and institutional wastes, including street cleaning residues, septic tank sludge, and waste from sewage cleaning . Most EU member countries use this List of Wastes as a guide when compiling statistics, even though they are not obligated to do so . The List of Wastes excludes packaging waste from municipal waste to emphasize producer responsibility for packaging waste, and this exclusion may cause EU member countries to have different definitions of MSW. For example, packaging waste destined for recycling is included as MSW in the United Kingdom  and Denmark , but it is not always reported as MSW in Germany  and France . The variance is a result of different policies on producer responsibility among EU member countries. The definitions also vary across Southeast Asia. The Philippine definition of municipal waste as defined by Republic Act No. 9003 refers to wastes produced from activities within local governmental units, including domestic, commercial, institutional, and industrial wastes as well as street litter. Malaysia, Vietnam, and Cambodia, on the other hand, have no legal definition of MSW . Waste managed by or for municipalities is often translated as MSW in English regardless of the official wording in the native language. Countries without a legal definition of MSW in relevant laws do not use the terms “municipal solid waste” or “MSW” in their native languages, and the waste categories can often be translated into English as “ordinary solid waste,” “urban solid waste,” or similar terms. In an exact translation, the Japanese government considers the MSW category as “general waste,” and general waste is defined simply as waste other than industrial waste, all of which shall be managed by or for municipalities according to the Waste Management and Public Cleansing Act. Waste can be categorized as hazardous or non-hazardous. Non-hazardous wastes generated from relatively small-scale sources and public spaces tend to be thought of as MSW. Non-hazardous wastes consist of kitchen waste, garden waste, paper and cardboard, textiles, plastics, metals, and similar materials  that are generated from the activities of daily life. Electrical and electronic waste (e-waste), batteries, fluorescent lamps, and spray cans disposed of by households are also usually regarded as MSW, even though they may contain hazardous materials [84, 85]. Infectious wastes such as needles and blood generated from hospitals and clinics are designated as specially controlled wastes and are not included as MSW in Japan . However, bandages and surgical cotton containing blood generated from the same types of places are managed as MSW. Waste materials originating from home health and medical care services are included in MSW . Globally, it appears that household waste is the main component of MSW, even though it may contain some amount of hazardous materials. Other than household waste, each municipality determines the sources and types of waste to be covered by MSW management depending on political, historical, social, and economic factors. Some municipalities may also regard waste from industry as MSW. MSW can be simply conceptualized as the waste managed by or for municipalities as a public service through a public works budget. MSW is often managed by private companies on behalf of local governments through private finance initiatives and public private partnerships [88, 89]. When calculating MSW generation per capita, the reporters of the data should clearly note and declare the sources and types of waste included as MSW to verify the comparability of data. The MSW stream should be clearly identified and distinguished from other waste streams so that data on MSW generation can be appropriately captured. Here, the MSW stream refers to the stream shown in Fig. 11a. The waste in stream (b), such as industrial waste in Japan, is not managed by municipalities because they do not recognize this type of waste to be covered by a public service. It is, therefore, not regarded as MSW because the waste is disposed of at the generators’ own expense. The MSW stream excludes other two streams. The first is recyclables collected by anyone other than municipalities, such as the private sector and the informal sector (Fig. 11c). This stream emerges in isolation from MSW and is mainly driven by economic incentives. This type of recycling is often observed in developing countries [90, 91, 92], where junk buyers in cities and waste pickers at dumping sites recover recyclables to earn a living [93, 94]. The informal sector accordingly contributes to a reduction of MSW generation and drives the recycling process in developing countries . Communities and schools can also be key actors for recycling. In Thailand, waste banks in the community and at schools play an important role as places where pupils and residents can sell recyclable materials . Wong Panit, a Thai private trading company of recyclables, initially partnered with the city of Phitsanulok in Thailand to set up waste banks and promote community-based recycling activities, resulting in a drastic decrease in the amount of MSW generated  and reaching the activities to reduce MSW in Bangkok . The other waste stream excluded is that which is self-disposed of at the source (Fig. 11d). This type of waste stream is commonly seen in regions where MSW collection service is unavailable . Burning, composting, burial, and disposal into water bodies are examples of self-disposal regardless of whether they are done properly or improperly . Composting at the household level in Surabaya, Indonesia , is a good example of appropriate self-disposal. Data on the amount of MSW disposal do not necessarily correspond to those of MSW generation, especially in developing countries . Many municipalities throughout the world tend to report the amount of MSW disposed of as well as that recycled as the amount of MSW generated because the data are recorded at disposal and recycling sites equipped with weighbridges. In fact, some of the recyclables are informally recovered from the MSW stream (Fig. 11a) and flow into recyclable stream (Fig. 11c) during each process in developing countries—by waste pickers during the discharge process, by MSW collection workers during the collection process, by MSW transportation workers during the transportation process, and by waste pickers during the disposal process [101, 102]. Municipal solid waste generation per capita is simply calculated as the amount of MSW generated divided by the population with MSW collection service. Uncertainty in either value can negatively affect the reliability and comparability of the data. Here the potential causes of the uncertainties, especially in developing countries, are discussed and feasible solutions to improve the uncertainties are suggested. Non-MSW waste streams are not accounted for and the amount of MSW disposal is considered to be equal to that of MSW generation in the following discussion, even though that may not necessarily be the case in developing countries. where m is total number of trucks, c i is the capacity of truck i (m3 truck−1), v i is the loading volume ratio of truck i, d i is the density of MSW loaded on truck i (tons m−3), and t ij is the number of trips by truck i on day j (frequency of trips day−1). where w ij is the recorded weight of MSW loaded on truck i on day j (tons). Statistical demographics should not be used to calculate MSW generation per capita; rather, population with MSW collection service should be used. Data on population with MSW collection service may be uncertain in developing countries because of issues related to collection efficiency and rural–urban migration. These issues can result in both underestimations and overestimations of MSW generation per capita. UN-HABITAT  gave an overview of the solid waste systems in 20 cities around the world, including the collection efficiency (percentage coverage) (Fig. 12). Regions with low-income countries tended to have low collection efficiencies. The collection efficiency rate varies within nations in developing countries, and major cities achieve a higher collection rate, whereas the rates are much lower in smaller cities . For example, in South Africa, more than 90 % of households in urban Gauteng and Western Cape were covered with MSW collection services, but the coverage in more rural areas such as Eastern Cape, Mpumalanga, and Limpopo was less than 50 % . MSW management policies in developing countries generally first focus on the timely removal of wastes from densely populated areas to maintain hygiene and health . Thinly populated areas, where empty spaces are available for waste disposal, are not always covered by MSW collection service because of limited municipal budgets, and residents in these areas can dispose of wastes themselves in the surrounding environment (Fig. 11d), whether properly or not. Accordingly, collection efficiencies are strongly correlated with population densities—densely populated central urban areas tend to have high collection coverage rates, whereas rates drop in thinly populated suburban and rural areas . This discrepancy demonstrates why it is important to use the population covered by MSW collection as a public service instead of the statistical population to avoid underestimating MSW generation per capita. The increase in population in urban areas in developing countries is often caused by domestic as well as transboundary rural–urban migration [109, 110] rather than by natural population growth. About 42.5 % of Kolkata’s (India) 8 million residents are transient , and every major city in developing countries may have similarly large proportions of unregistered migrants. Migrants often start living in populated cities as slum dwellers, and few register their residency in the destination city . A lack of basic services such as waste collection, electricity, and water supply is one of the most frequently mentioned characteristics of slums . Waste generated in slums tends to be improperly burned or dumped into nearby streets and rivers, but a large proportion of the waste inappropriately disposed of is eventually collected and managed by or for municipalities as a matter of public health. Not including the transient population in slums can lead to overestimations of MSW generation per capita in these areas. Increases in urban populations in developing countries are caused by migrant inflow, and urbanized areas have expanded as a result. That is, residential areas in suburbs, which are covered by MSW collection service, are expanding rapidly, and the amount of MSW generated in these areas increases dramatically. For example, the amount of MSW collected from suburban districts in Hanoi, Vietnam, rapidly increased from 2000 to 2011, as the population grew rapidly and the municipality expanded the coverage of MSW collection service in the expanding suburban areas (Fig. 13) . On the other hand, the amounts of MSW collected from core urban districts (Ba Dinh, Hoan Kiem, Dong Da, and Hai Ba Trung districts) were relatively stable because the population was also relatively stable. Economically vital municipalities in developing countries should pay attention to MSW generation as well as population with MSW collection service in newly urbanized areas when estimating MSW generation per capita. With enough data, the values of nationwide MSW generation per capita estimated by Eqs. (4) and (5) would approximate each other; for example, MSW generation per capita in Japan estimated by Eqs. (4) and (5) were 0.9006 and 0.9032 kg, respectively, based on data from FY2012 compiled from all municipalities (n = 1715). However, if fewer data on MSW generation per capita can be collected from municipalities, the reliability of average data estimated by Eq. (5) will be reduced, and the estimates will not necessarily be close to those generated by Eq. (4). National governments should compile data on MSW generation and population with MSW collection service from as many municipalities as possible in developing countries to improve the reliability of data on MSW generation per capita. One reason that data on MSW management are not exhaustively compiled in developing countries is that local governments do not have financially close connections with national governments. Conversely, the Japanese government established a data compilation system. The Ministry of the Environment, which holds jurisdiction over waste management in Japan, requires all municipalities to report data on local MSW management, including MSW generation and population with MSW collection service, annually to collect basic information to improve MSW management in Japan. From a practical standpoint, the municipalities are motivated to collect reliable data on local MSW management and prepare detailed plans for constructing new waste treatment facilities because it is a condition of receiving a subsidy from the Ministry of the Environment. A lack of education and training of local staff in developing countries may lead to misreporting of local MSW data to national governments. Municipal staff may carelessly or erroneously handle data on MSW generation and population with MSW collection service . The national governments should, therefore, verify the data from municipalities. Estimating MSW generation per capita by dividing the amount of MSW generation by the population with MSW collection service is a simple but effective way to identify obvious errors in the reported data . About 50 % of the 157 countries shown in Figs. 1, 2, 3, 4, 5, 6, 7 had a MSW generation per capita of 0.53–1.39 kg, so values very far outside of that range should be reevaluated. For example, MSW generation per capita values of 0.10 or 10 kg should be considered suspect because simple calculation or data entry errors may have occurred in estimating the values. Differences in the amount of MSW generated per capita should reflect each nation’s or municipal area’s different state of socio-economic growth and the nature of environmental policies. Other factors, however, also contribute to poor comparability among different areas. These include differences in the definition of MSW and uncertainties in the data used to calculate MSW generation per capita. The definition of MSW also varies from country to country because each country and municipality define MSW based on its own political, social, and economic framework. That said MSW can be simply conceptualized as the waste managed by or for municipalities as a public service. A lack of equipment (e.g., weighbridges), lower rates of MSW collection efficiency, rural–urban migration, and incomplete data compilation systems at the national level all affect the reliability of data used to estimate MSW generation per capita in developing countries. Although uncertainties can never be completely eliminated, data on population with MSW collection service as well as MSW generation should be estimated as accurately as possible. Otherwise, local and national governments will estimate MSW generation per capita improperly, which hampers the comparability of estimates both over time and among regions.